Everyone loves feeling the sun’s warm rays on their face. Although you look forward to sunny days, it can lead to skin damage. 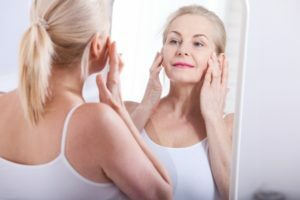 The ultraviolet light (UV) can cause premature dark spots, wrinkles, fine lines, and other issues that make you appear years older than your true age. In fact, research shows UV exposure is responsible for 80% of aging skin. While it may seem like you have no choice but to live with the imperfections, you can turn back the hands of time with PhotoFacial in Chicago. At Natural Beauty Med Spa, we are always looking for ways to improve the convenience and care that you receive from our medical spa in Chicago. As a result, we are excited to announce that we are extending our services to a new location inside of Exsalonce. Our new office is only about 6 miles away from our current practice. In addition to our previous treatments, you will now also enjoy massage therapy. You will have everything you need under one roof, making it your one-stop location for all your beauty needs. From getting your hair done to an array of medical spa treatments, you will have exactly what you need with Natural Beauty Med Spa. As a leader for elective treatments and skin rejuvenation in Chicago, Natural Beauty Med Spa strives to help our patients achieve optimal health and happiness. Not only do we aim for excellence in our office, but in our community as well. We believe that it is important to support the area, which is why we proudly sponsor the Taste of the River North event every year. The gathering showcases some of the community’s best neighborhoods. We look forward to taking part for another year because we are proud to call the area our home. The warm summer months are here, which means plenty of sunshine and time by the pool. Before you are ready to join in the excitement, you have one concern—unwanted body fat. If diet and exercise are not enough to give you the results you want quickly, you do have another option. With LipoMassage in Chicago, you can get bikini body ready quickly. If you have recently been by Natural Beauty Med Spa, you may have noticed that things have changed a bit. We have moved into a new building, which is only about a block away from our previous location to continue to provide convenient care. 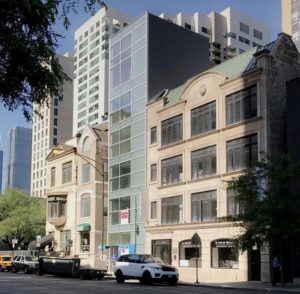 While our address may now be different, you will still benefit from one amazing plastic surgeon in Chicago. Dr. Irvin M. Wiesman is still providing the exceptional services that you have come to trust. Are you tired of fighting unwanted body hair with razors and expensive waxing kits? If so, you have probably considered laser hair removal in Chicago but have yet to commit to a treatment. Let’s face it, the procedure has a bad reputation for being painful, which would make anyone hesitant to undergo the process. What if you could get a pain-free treatment? Now you can with Soprano ICE. This revolutionary new treatment allows you to say good-bye to unwanted hair without the pain of traditional laser treatments. As you age, the appearance of your skin will start to change. Sun-damage can become more visible while fine lines and wrinkles develop. As these changes occur, it is easy to begin feeling insecure about your skin. To restore a youthful look, many are now turning to laser resurfacing in Chicago. This is a simple way to remove several layers of damaged skin to allow newer, undamaged skin to be revealed. When you look in the mirror, do you see the passing of time starting to appear on your skin? As you age, wrinkles and fine lines will develop while your skin tone and color will change. Although it is a natural part of the aging process, it can cause you to feel self-conscious. In some cases, you may even begin to appear older than your true age. Now, you can turn back the hands of time and restore a youthful glow with MicroNeedling in Chicago. The Eclipse MicroPen is an effective aesthetics treatment to improve your skin. At the Natural Beauty Med Spa, we are committed to more than just providing a great medical spa in Chicago to help you become the happiest, healthiest version of yourself. We are also dedicated to our community, which is why we are involved in many local events. 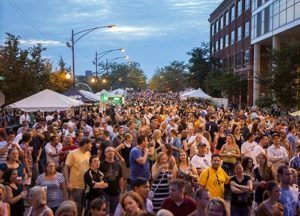 To help give back, we are proud sponsor of the Taste of the River North, which showcases many of the area’s most entertaining destination neighborhoods. We are thrilled to be involved in the event because we want you to be as excited as we are about the place we have all come to call home. Are dieting and exercise not enough to get rid of unwanted body fat? Are you ready for a trim and contoured appearance? Now, you can benefit from the latest innovation in nonsurgical body sculpting with fat reduction in Chicago. Dr. Gary Wiesman offers the UltraSpeed Applicator, which uses a small hand piece to deliver ultrasound technology to target tissue to rid the stubborn cells. The quick, noninvasive produce will give you the results you have been wanting in as little as 20 minutes.